A state bank would allow marijuana businesses to accept credit cards, pay employees with direct deposit, submit tax payments digitally, and obtain loans. California officials are taking steps forward for creating a taxpayer-backed bank to service the state’s legal marijuana industry. 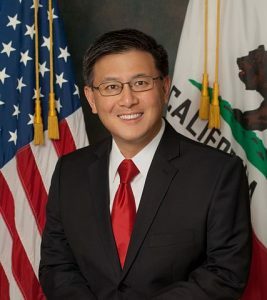 A week ago, California State Treasurer John Chiang announced his office and the state attorney general will be looking into how a state cannabis bank might function. Chiang said the first step is to “conduct a feasibility study” to determine costs, benefits, and risks, as well as look at the legal and regulatory issues related to a public marijuana bank. The study, conducted by the treasurer’s office, would deliver recommendations to policymakers by the end of the year. Legal adult use marijuana sales in California began on January 1. Despite the state’s marijuana market being estimated to grow to $6.46 billion in a few years time, most banks refuse to provide banking service to companies that handle marijuana-related money over concerns it could lead to legal trouble from the federal government, which still considers marijuana as illegal. While banks have always been hesitant to service state-legal cannabis businesses, there’s a renewed resistance now that the Trump administration has signaled a potential more aggressive approach to enforcing federal marijuana law. Earlier this year, U.S. Attorney Jeff Sessions rescinded a 2013 federal policy that directed federal prosecutors to not prioritize interference with states that legalized marijuana. Last year encouraged Congress to eliminate the medical marijuana protections currently in place, although they refused. The shortage of banking services for most marijuana businesses means a lack of commonplace operating conveniences, such as obtaining loans, providing direct deposit to employees, accepting credit card payments, filing taxes digitally, and writing checks. City officials of Los Angeles have reportedly seen bags of cash up to $300,000 come into their offices to cover tax payments. Industry experts have predicted that marijuana tax revenue will reach more than $1 billion per year. Whether a single public bank would be able to effectively service the state’s massive cannabis industry remains unknown. If established, the public bank in California would not be the nation’s first. North Dakota founded one in 1919 after private banks failed to properly promote its agriculture and commerce industries. Marijuana laws in the U.S. are complex and fluid. While marijuana remains illegal under federal law, more than 29 states have legalized marijuana in some capacity. You can learn more about where recreational and medical marijuana is legal by visiting our education page.